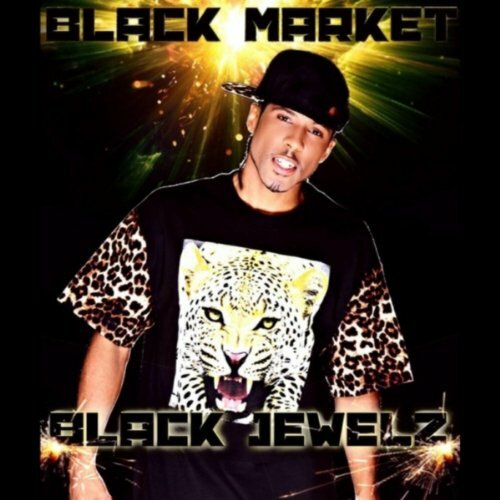 Black Jewelz began composing lyrics at about 11-12 years of age. His love for hip-hop became one of the central aspects of his life as a teenager. Rap was a way for Black Jewelz to express himself when he couldn’t otherwise. He had no role models growing up so rappers became his role models and mentors. Favorites in the rap game included the likes of Eminem, 2Pac, Nas, Jay-z and DMX, all of whom inspired Black Jewelz to write rhymes that he felt good about in relation to others in his age group. When he had lunch money, he’d skip eating lunch to save up the couple dollars to buy the next rap CD he wanted. Though he is strongly in support of the value of education now, he would skip classes to go the music store and buy a new album. After Black Jewelz read 2Pac’s book “The Rose That Grew From the Concrete,” he was inspired to begin writing poetry. This became another outlet of expression that provided an ease of thought during the many trials and tribulations that occurred throughout his teenage years. For a period, Black Jewelz was lost in the streets indulging in drugs, weapons and violence, which constantly caused him to get into trouble and suspended in high school. Just prior to his life’s turning point, Black Jewelz was arrested and expelled during the second week of his senior year in high school. Somehow he managed to get back into school and graduate The process of turning his life around occurred when he was almost 18 years old. At this point, his mission began. Black Jewelz began performing at open mics, on street blocks, even at the Apollo Theater, and wherever he could get an opportunity to be heard. Black Jewelz had something to say, and would not let the fact that he could not afford recording equipment or studio time deter him. What birthed out of his lack was an amazing ability to write and perform a cappella raps which earned him tremendous respect and catapulted him to local fame among rappers, artists, poets and fans of the arts. He would eventually build a makeshift studio in his closet with the bare essentials. His passion for rap drove him to display the excellence of his artistry by whatever means necessary. Eventually, Black Jewelz began to work with a professional engineer in a professional studio. The album "Black Market" won Hip Hop/Rap Album of the Year at the International Music and Entertainment Association Awards 2014, he also won Rap/Hip Hop Artist of the Year in 2016. The most recent release "Unrivaled" is available for listeners to stream, purchase or download for free!